I just got this picture from my buddy Jason. 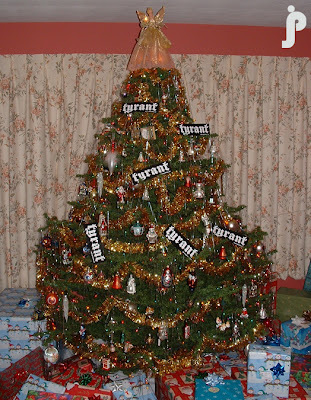 Its a photo of his families Christmas tree all the way up in Syracuse, New York. I hope Santa took one of those stickers for his sleigh! Tiny Tyrant, in the spotlight again!